When i Try with the (GS4) NI1 US ATT mdf file and run towel root, i get "this phone isn't currently support"
P.S I hate AT&T for forcing this update on me. Root Checker says "Sorry, this device does not have proper root access"
I537 will work with this method also? Got update to NH3 from NE3 and towelroot broke. first, thank you for the amazing job! youre the best. maybe you can help me by doing safe kernel for this G900F: G900FXXU1ANG7. wow, thank you w0lf! youre doing excellent job, and helping all of us. let me say thanks, by donate you :) and i recommend to do this to everyone. I tried this on my L720 4.4.2 (NG2) I flashed the root kernal, then installed and ran towelroot v2. The "Let It Rain" button just turned Orange and rebooted the device, with no indication that I had root. Supoersu reports no binary found, no rain. Need me to upload the boot,img for NE3 and NH3? Thank you very much, tested it. Mentioned and linked you on XDA. Hello WolfDroid, could you pls help me out in S3 Neo i9301i? I have the latest FW 4.4.2 and towelroot does not work in it. Thx! Hi I have the SPH-720T that is already on the NG5 update. I tried to flashed the rooted kernel but did not have any success with the towelroot method as the program told me that the device is not support. Any update on SPH-720T model that is already has the NG5 update installed on it? hello! I've a gt-i9505 csc tcl with baseband i9505xxugnh7. here on the page i'm only able to find the nh8 file, where can i get the right file for nh7? this site saved me a lot of trouble. was able to apply the ROOT kernel, root with towelroot, then reapplied my new kernel. worked perfectly. Hello,Mrwolf,i have a note3 n9008,first,i use odin to flash n9008zmueni2,this's latest version,secondary,i made a kernel base on n9008zmuena9,and then flash into device,when it reboot,my phone halt on "SAMSUNG" screen.i also try n9008zmuenb1's kernel,it also halt on that screen.where i wrong?thanks. Thank you W0lfDroid. I have a rooted phone but I'm not sure how to get the wifi working again. I know you say, "WiFi will not work also after flashing ROOT kernel, but you can fix it after rooting by flashing your system kernel," but I'm not sure how to update my system kernel. Could you please advise? Hello! I've a GT-I9505 with baseband I9505VJUGNI2. Where can i get the right file for NI2? Hi could you please add download links for N9005 with build ending NH1? I used this method to root my NF4 Note 3 successfully. However, whenever I disable SuperSU to hid the root files and reboot, the root will be lost. ( SuperSU no longer working and prompt me ''there is no SU binary installed and supersu cannot install it. This is a problem! If you just upgraded to android 4.3, you need to manually re-root and consult the relevant forums for your device!''. I've also noticed that after rooting my baseband changed to NF2 instead of NF4. Hi, my S5 (G900F) states to be on baseband version G900FXXU1ANG8. Does this way to root also work with this version, and if so, which kernel do I need to flash in the second step? what is your phone build number? odin does not detect my note 3 international ng1, opinions ? Thank you. Worked fine. Knox still untouched, system status changed to custom. That's o.k. (and reversible) and root is working. Hmm. S Health does not work anymore, does not recognize pulse and step counter. Any Idea to fix this? Already fixed, just reinstalled the usb driver. When I open towelroot 3 and change from 0 to 7380 I still get this phone is not supported..Samsung Galaxy S4 Verizon is my phone. What is happening to me? Problem was corupt files from ota after a factory reload i was able to root but now paragon cannot set selinux to permissive from enforcing. .any ideas on a work around i really need permisive to work. hi, i got GT-I906 is it possible to get that towelroot working on it? Where can i get the right file for NH1? In first place, greet job... NJ1, please! Is it possible that some of the available, is compatible? Can i root my Samsung note 4 with towelroot?att..
Got it rooted again. now having a different issue. A movie that plays fine when stored on the internal memory says it cannot be played once I move it to my external SD card. I have read that 4.4.2 removed the permissions from SD cards and there are ways or restoring them. I have managed to get my apps to play once again from my ext. SD card but I still can't figure out how to store movies on my SD card and get them to play. Please advise. Mr wolf... NJ1 kernel for galaxy s5 international (csc_xef/France), please! I downloaded the S4 - NH7, i tryed tu flash with odin and FAILD!!! Itrye deveral times an the same problem. and when i try to open my phone say to connect to Kies an recover firmware!!! Problem solved! Flashed PIT file specific to my phone an voilla! Now i dont know if i can solve the root problem! i cn't root pls help me....the id.com box inside is nothing when i plug USB cable. What did we even need samsung kies for? Why is that in the download section? I load in the ROOT tar md5 into Odin3, and I click start, restart my phone and do the 3 button push on my phone and it goes into sys recovery, it doesnt seem to go right into the custom OS... what am I doing wrong? Thanks for the help! I have SPH-L720, Build KOT49H.L720VPUFNG2. Kernel is 3.4.0-2162929 dpi@SWDD6013 #1, dated Wed Jul 9 09:04:04 KST 2014. I assume that is the root kernel, as all went well with Odin (succeeeded 1/ failed 0). In Towelroot 3, I tapped three times and changed the code as described (1337 0 1 7380 4 0). Response is: "This phone isn't currently supported"
Hi currently using the NI3 Samsung S5, all proceeded well but phone wont auto update after kernel is flashed like in the video, it just boots up as if it has been reseted and towel root displayed the message as if it isnt root "phone not supported" any ideas ? Im using s5 NI3 version but after the updated was completed on odin, my phone wont download the update like in the video, and it just reboot like normally.Any helps? It write on the top towelroot V2 or V3? V2 - from your offline link above. Why is it necessary to flash back the specific kernel for your phone build number, which means use Odin twice? I ask this because my baseband number NG8 is not listed here (Samsung S5). Chainfire's CF-Auto-Root uses Odin only once. Why is that? Thanks in advance! Can anyone help us out with the NC1 (GT-I9500 International) kernels please? I also did this on my S4 I9505 with NG2 and the same issue with restarting even after factory reset still restarting. Any ideas or suggestions? I have a GT-I9195 International (LTE) Mini. I'm new to android. I'd like to root my phone with above method. How do I now if I have to take the NF7 or MH5 to flash? Cn I read it off my device somewhere? are you planning a safe root and kernel for galaxy note 4 n910f ? Galaxy S5 G900M build MUBU1ANI1 not work. AT&T S4 Active: What am I doing wrong? I followed the instructions/video about ten times & it says pass but phone still isn't rooted. This is where I'm having issues: When I power off the phone the correct screen comes up, says downloading, but the following screen where it says "downloading applications" never appears. Please help, thank you!! Did you flash root kernel then use towelroot? Did it not flash correctly, thats why towelroot keeps rebooting ? 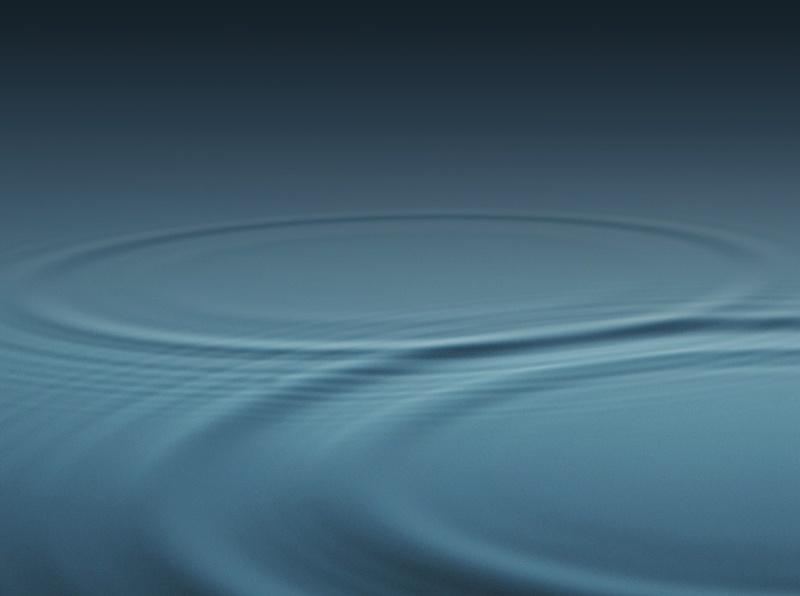 Would please give me the download link for Galaxy S4 Active (GT-I9295)? I flashed the root and now my phone just keeps restarting. It will not let me startup into the rom flash to flash the original Rom. So I have an SGH-M919 running NH7, I flashed the root kernel with Odin but when using towelroot v3 OFFLINE, it just reboots the phone. I have the same problem. I just posted it...now one seems to know a solution. Adrian, did you ever find a way around it or has anyone gotten back to you....a little communication from wolf would be nice, even just to let us know theres nothing that can be done. I dont know if he is troubleshooting it or not ? i see you have NI2 kernel uploaded, just want to have confirmation before i give it a try. Hi there w0lt long time no see since saferoot s3 4.3..now im about to ask u about my gt i9500 running official 4.4.2 my phone info in below picture..could u provide me a way thats i can do saferoot or not..need ur help..hope that u can help me..
I9500 root kernel?this method not possible for i9500? Hi Mr. W0lf, would you please help out the I9505XXUGNH6 kenel file? Much appreciated. Hey W0lf... has this been tested on Canadian i337m on recent OTA update to NI2? If you root it using this method, complete all steps by flashing your phone system build kernel. Can you tell me your phone system build? you are tge best! please, if it's not too hard for you make a safe kernel for I9505XXUGNJ1 also. thank you very much! Thank you Wolf for the response. I read the previous post about the rogers i337m and how he was having issues after flashing. But now I c that it was possibly something he did incorrectly. Thanx again for the reply. I will try today and post results. one more quick question.... why are we disabling s-health? does it intefer with the flashing process? or does it interfere with something else? can we reactivate after flashing? ok so i flashed the root kernel for my i337m (Telus).... used towelroot V3. it says i should have root, but root checker says no. i have now flashed back to NI2 kernel and it worked! odd... root checker said no root access when on root kernel, but says i have root after flashing back to NI2. thanx W0lf. everything seems to work fine. i used Regionlock Away to sim-unlock and it worked. nvrmind... i think the data issue is on my network end... thanks W0lf. show me these other users, because i think there running 4.4.2 not 4.4.4.....I will try it and keep you posted. had no idea, i take blame for that. thanx again W0lf... but i followed instructions perfectly but still having issues with wifi passwords needing to be re-inputted. other than that... everything is working fine. no i havnt tried that... didnt want to lose ALL info... what would u recommend for a COMPLETE backup before i do that? and that wont lose root or anything? anyway you can troubleshoot ? thanx so much W0lf... u r doing great work! "System software not authorized by Verizon Wireless has been found on your phone. Please turn off your phone and go to the nearest Verizon Wireless store for help." Thanks for developing this great tool.Does it supports Note 3 SM-N9005 International NJ1 ROM ? As NJ1 only listed under SM-G900W8. Thanks for the quick response. 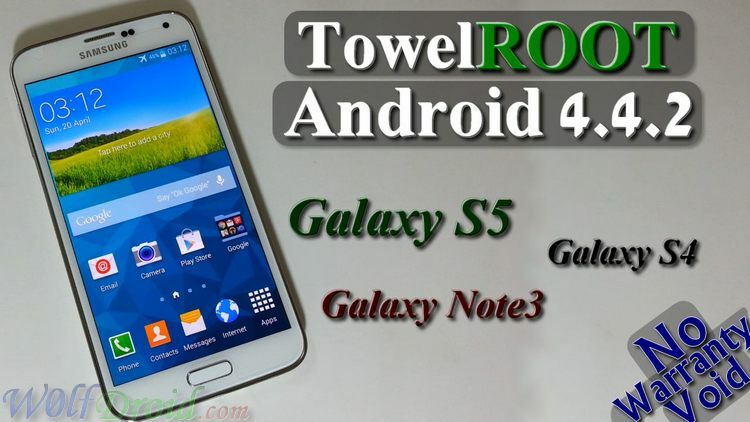 Do you know if I can flash the 4.4.2 Stock ROM from May 2014 and then will I be able to use TowelRoot? Or do I need to go to the latest 4.4.4 update? So I tried Flashing the Stock 4.4.2 ROM but that failed in Odin. I proceeded to Flash the 4.4.4 ROM and I'm back up and running. Any Idea why the N900V ROOT Kernel would throw the error? I see it was taken down, but I'm anxious to try again if it comes back up. Thanks for your help. thanks alot! you're the best! no go, phone just rebooted...reflashing stock kernel. Wifi became about 10x slower after doing this, any tips? can you make a safe root and kernel for smasung galaxy s4 i9515: i9515XXU1ANJ2. Hey MrW0lf I have done everything this says exactly but I get as far as installing the root file because when I try to do the N12 it stays on the bootloader screen and never powers up is there something im missing? also why did I download klies and the mobile driver? please help me as I am a bit lost. thank you! What is your phone system build number?